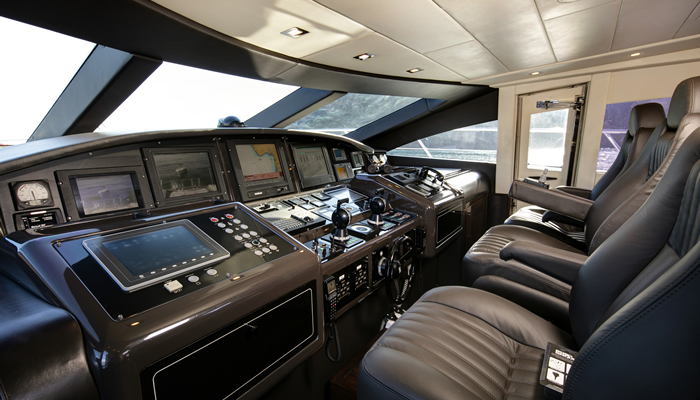 Luxury motor yacht BO (ex AMAZING) is a Mangusta Overmarine superyacht. 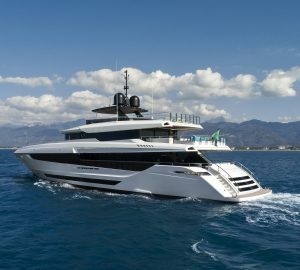 Built in 2010 and refitted in 2018 in Italy, the 33.20m (108' 11") sleek yacht BO exudes power and grace, inevitably turning heads as you whisk by at exhilarating speeds. 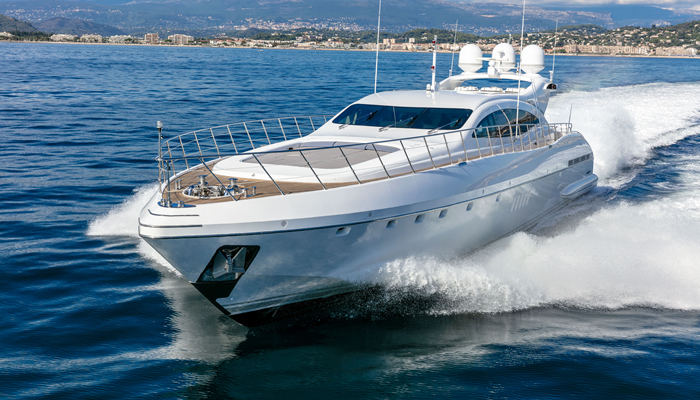 M/Y BO is available for charter in the West Mediterranean for up to 9 guests in 4 cabins. 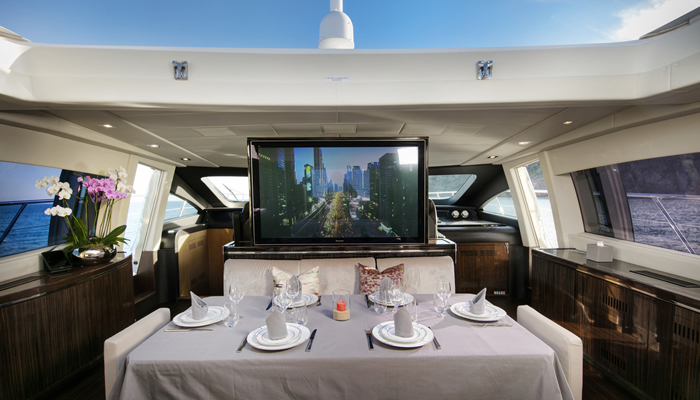 Charter yacht BO features a modern chic interior of crisp white soft furnishings, high gloss black accents and warm natural wood panels creating an eye-catching fusion of ultimate Italian design. 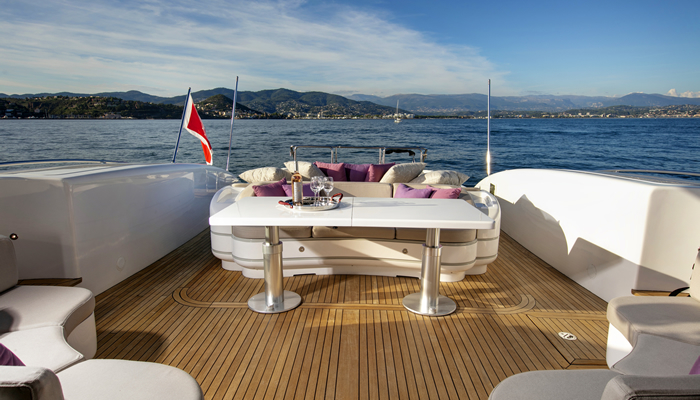 The salon and dining are on the main deck allowing for panoramic sea vistas. 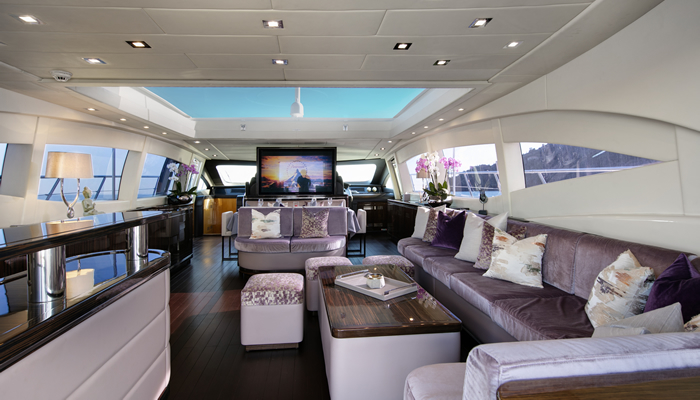 Aft, the lounge has a U shaped sofa on port and starboard with cocktail tables that can lower to coffee tables. Forward of the lounge, the formal dining space features a beautifully finished wood table flanked by genuine leather chairs. 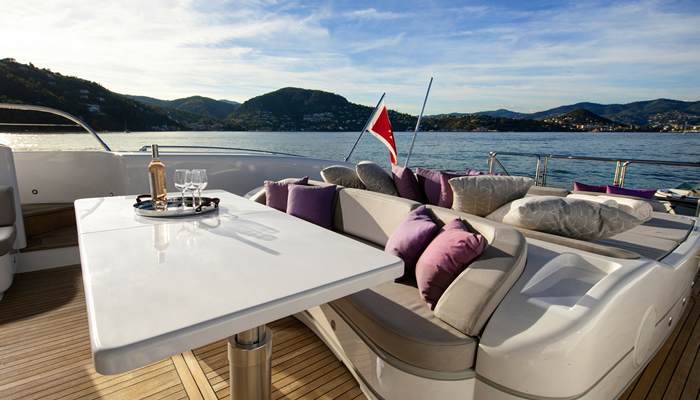 Exterior living aboard the BO is generous. 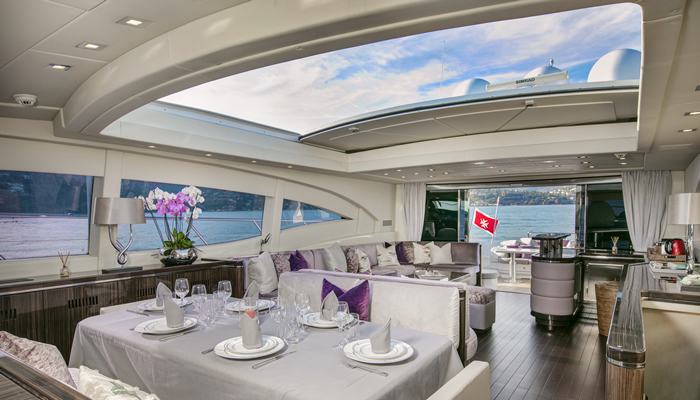 Aft of the salon wide sliding glass door opens onto an expansive aft deck boasting an alfresco dining option and large sun pads. 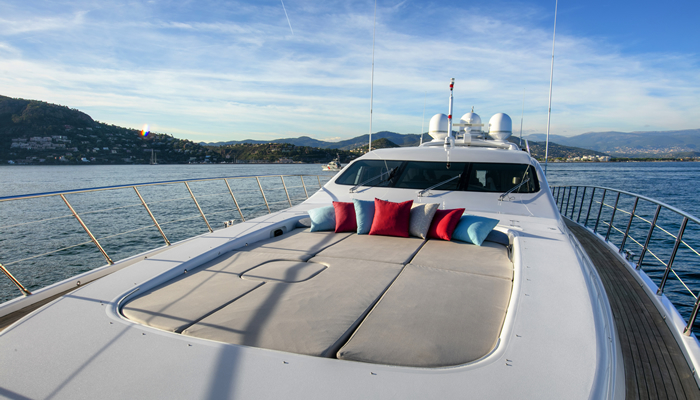 Water enthusiasts will find access easy from the extended swim platform. 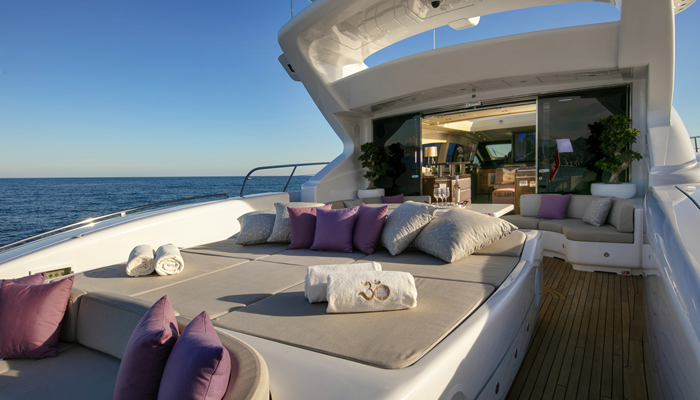 For a little privacy, guests may enjoy the massive triple sun pad on the bow of the BO motor yacht. 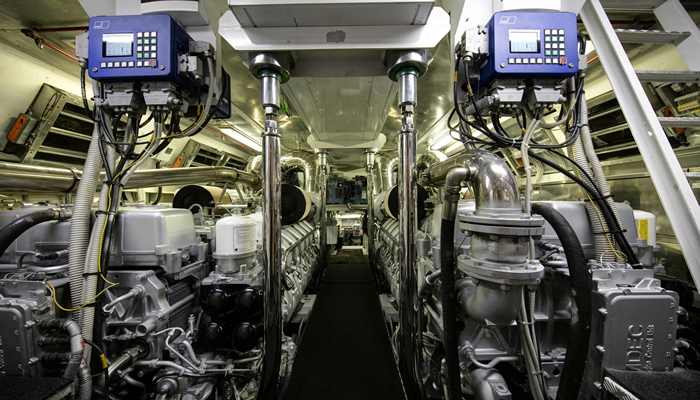 Motor yacht BO will literally amaze you with her agility and speed, powered by 2 x MTU 2775hp12v 4000 M90 engines, she cruises at 30 knots and can reach top speeds of 35 knots. 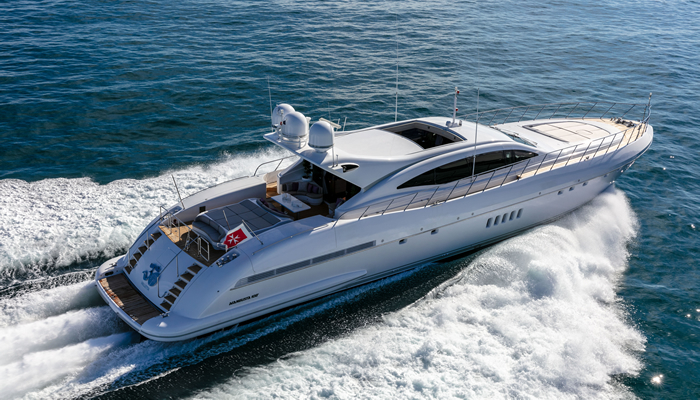 Luxurious accommodation is available on the Mangusta 108 BO for up to 9 guests in 4 cabins. 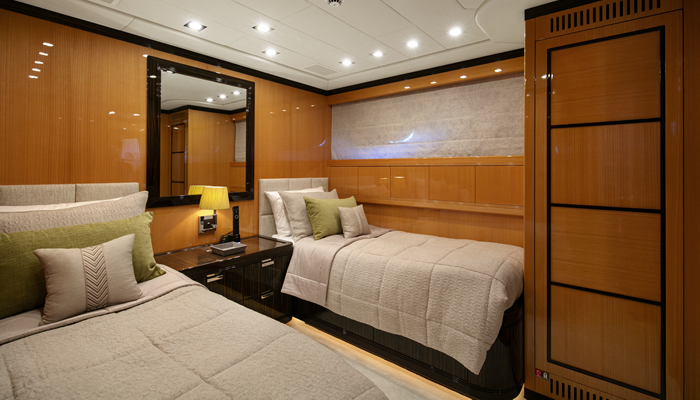 Each cabin is elegantly portrayed in a minimalistic yet sophisticated atmosphere of fine woods and intricate detailing. 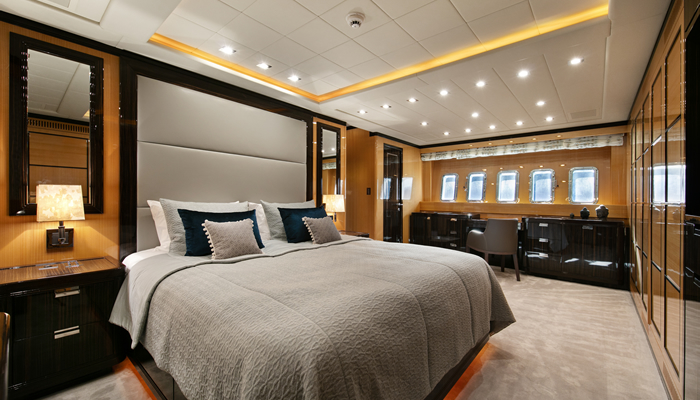 The master suite spreads the entire beam of the yacht amidships with a centre lined double bed, vanity and en-suite facilities. 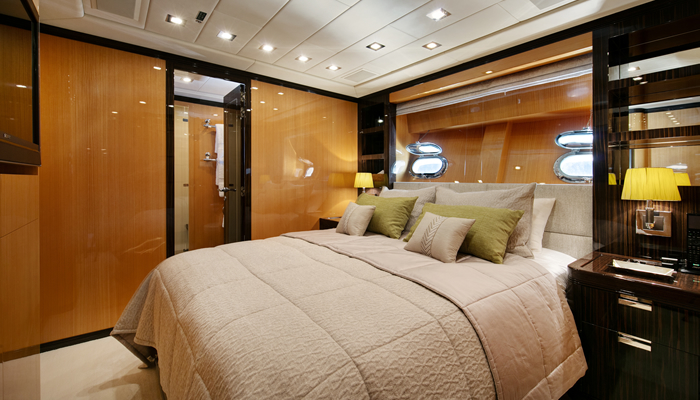 A further 2 guests cabins have double beds and en-suite facilities. 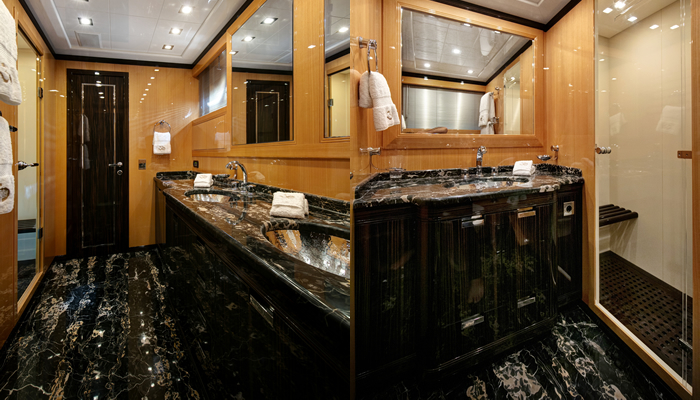 A twin cabin has twin berths, a Pullman berth and en-suite facilities, offering an ideal option for children or single guests.